Brian Cox and Miranda Richardson star in this British biographical drama directed by Jonathan Teplitzky. 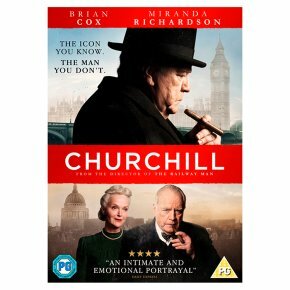 Set in 1944, as tensions mount in the days leading up to D-Day, British Prime Minister Winston Churchill (Cox) faces some big decisions as the Allied powers prepare to launch an attack on the advancing Nazi forces. With US General Dwight D. Eisenhower (John Slattery) and Field Marshal Bernard Montgomery (Julian Wadham) becoming increasingly frustrated with the prime minister's apparent reluctance to send his remaining forces across the Channel to counterattack the Germans, Churchill is forced to turn to his most trusted confidant, his wife Clementine (Richardson), as he contemplates authorising the attack which could shape the future of the war. The cast also includes James Purefoy, Jonathan Aris and Ella Purnell.